In the first article of this series, we will take a look at the core of our technology stack, the blockchain. At this point, there are many blockchain solutions. Each one promises some revolutionary “killer” features. Hence, it is important to evaluate their features according to our needs. The following points are based on a series of interviews given by our CTO Jeff McDonald. You can view the entire series here or visit our YouTube channel for more content like this. This interview was recorded in early 2018. Since then there have been many other exciting blockchain projects announced. Yet, the underlying principles presented here still holds. Working at LuxTag, we get this question a lot. Why NEM? NEM uses a different architecture from other blockchains. For example, let’s take a look at Ethereum. Ethereum is a good blockchain solution coupled with Ethereum Virtual Machine (EVM). The basic concept in Ethereum is that all smart contracts have to live in the EVM. That is a good system for some things but not for documents and notarization. Using Ethereum, what most people would do is to put a fingerprint of the document on the blockchain, not the whole document itself. To build something more complicated you would need to build it on EVM, which is an expensive solution. At LuxTag, we have a more cost effective system where we do not have to write smart contracts in a brand new language. We leverage SDKs and APIs provided by NEM to interface with the blockchain. This is how modern apps on iOS and Android work today. Each app doesn’t need to rebuild the stack from scratch. Rather, app developers are able to ship code faster by using tools provided by the mobile application ecosystem. Likewise, we use tools already on the NEM blockchain to build a more efficient LuxTag app. NEM is the only blockchain (as of early 2018) that can make a unique identifier for each item. On other blockchains you would generate a fingerprint a diploma and place it on the blockchain. Now, the original diploma can be damaged, lost, or stolen. How would you update the fingerprint? How would you transfer ownership of a fingerprint? Most would generate a new fingerprint to store that message. Others would write a new smart contract on EVM to handle these cases. All these further complicate the architecture and hamper the development process. At LuxTag we place individual certificates on the blockchain. Each certificate is uniquely identifiable, which allows us to attach new information on it. 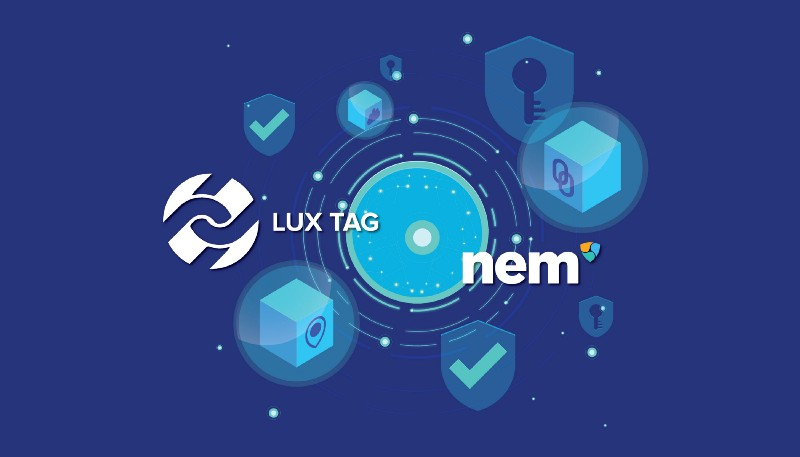 For example, when you get a LuxTag certificate for a car, watch, or other luxury items, you can see all the details right on the NEM blockchain. When you send it for repairs, it is on the NEM blockchain. Once you sell the item, it is there. So if a recall is issued by the manufacturer, it is there and verifiable. Multi-signature accounts are first class citizens on NEM blockchain and is what LuxTag uses to secure your assets. Transferring accounts to other parties, you can’t do that natively on Ethereum. Let us take a look into how the architecture is designed. On Bitcoin, to make a multi-signature contract, you would take accounts A, B, and C and combine them together on a third party wallet to create account M, a multi-signature account. This multi-signature account has many limitations depending on the implementation and do not have the full benefits of a regular single signature Bitcoin account. On NEM, you can create an account M, and assign accounts A, B and C as owners of account M all on the blockchain. Account M now acts as a smart asset — updatable, augmentable, and transferable.